Speeding heavy vehicles have been a public concern for many years - primarily from a safety perspective, where speed is often a contributing factor in heavy vehicle crashes. Prior to the various amendments having commenced on 1 October 2018, Chapter five of the Heavy Vehicle National Law (HVNL) imposed strict obligations for parties in the Chain of Responsibility (CoR) to take all reasonable steps to ensure that a driver of a heavy vehicle does not commit a speeding offence. section 26E which prohibits a person from asking, directing or requiring (directly or indirectly) the driver of a heavy vehicle or party to the supply chain to breach is speed obligations. It is important to note that the HVNL does not cover circumstances where a driver commits other driving contraventions (e.g. driving at excessive speed in wet conditions but still within the relevant speed limit or using a hand-held mobile while driving), which would ordinarily be a general road safety issue rather than a CoR issue as such. In these circumstances, the driver would likely face penalties under the relevant state law. At first glance, it appears that the only person who is able to stop a vehicle from speeding is the driver of that vehicle. However, that is not correct. There are a range of factors which influence speed non-compliance and a number of ways in which businesses in the CoR can prevent drivers from disobeying the road rules in relation to speed. A range of tools already exist to manage and enforce heavy vehicles speed limits, both in the HVNL and in state and territory road safety Acts and regulations. In this ‘how to’ article, we look at some of the ways in which businesses can ensure speed compliance under the HVNL and illustrate some examples of ‘what not to do’ to ensure your business avoids prosecution. Heavy vehicles of more than 4.5 tonnes Gross Vehicle Mass (GVM) must not travel in excess of 100 km/h. One of the simplest and most effective ways to ensure compliance with this requirement is to fit heavy vehicles with a speed limiter that complies with the Vehicle Standard (Australian Design Rule 65/00 – Maximum Road Speed Limiting for Heavy Goods Vehicles and Heavy Omnibuses) 2006 (Vehicle Standard). In fact, it is a mandatory requirement that certain heavy vehicles comply with this Vehicle Standard, including heavy vehicles manufactured after 1991 having a GVM in excess of 14.5 tonnes. Where a speed limiter is required to be installed in a vehicle, the operator of a vehicle or another responsible party in the CoR are required to ensure that the vehicle cannot be operated in excess of the designated speed and that no heavy vehicle operates with a speed limiter that has been tampered with. Violation of a speed limiter requirement is an offence under the CoR and heavy sanctions are imposed on the operator or other responsible party. It is important for all businesses to ensure speed compliance, particularly in circumstances where speeding offences can be prosecuted against drivers, their employers and other parties in the CoR. section 93 (3), which requires an operator not to use or permit the use of a speed limiter if they know it has been tampered with. There are a number of initiatives in place to assist parties to remain compliant in relation to the use of speed limiters. For example, the Vehicle Standard provides guidance on workshop procedures for compliance with maximum road speed limiting and outlines service provider obligations for vehicle repair and servicing. Providers who follow the guidelines produce an audit trail to help demonstrate their compliance with CoR requirements. Industry use of ‘telematics’ is becoming increasingly important as a tool to ensure compliance with speed limits. Telematics uses satellite tracking and wireless communication technology to remotely monitor where, when and how heavy vehicles are being operated on the road network. This includes the monitoring of speeding in real time and of driver behaviour. There are many products on the market which provide real-time speed management technology for heavy vehicles. 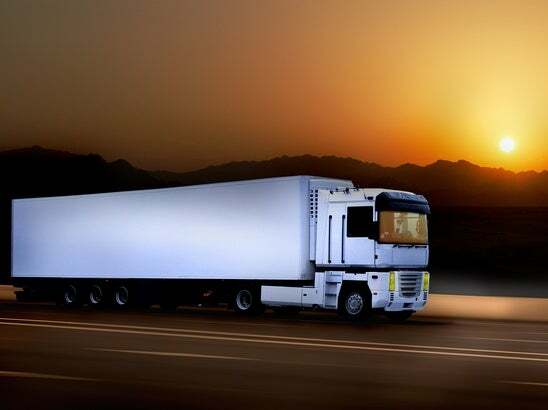 GPS tracking devices that are installed in commercial heavy vehicles can track the location of each vehicle when they are out in the field and send real-time warnings to the driver and to your head office of a possible or actual compliance breach so that businesses can instantly manage compliance. In addition, advanced systems can be linked to job and journey booking systems, so that depot or journey delays can be immediately integrated into journey planning, avoiding the encouragement of speeding to ‘make up’ any delays. One of the most important factors in CoR compliance is ensuring that everything is documented. It is not enough to be doing the right thing, businesses need to be able to show someone they are doing the right thing in relation to speed compliance. Electric speed management systems automatically generate much of the paperwork which would ordinarily need to be filled out, such as incident reports and warnings, and ensures that there is a central database of all the information you need should a prosecutor come knocking to find out what ‘reasonable steps’ you have taken to avoid a speed breach. Having an electronic speed management is vital in ensuring that your business has a process by which it records its CoR compliance. However, equally as important is to ensure that your business has appropriate procedures to take action when a breach does occur. For example, your business should have an escalation process that sends an alert to the operations manager if an over speed is not corrected by the driver within a specified time limit. Where an escalated over speed alert is received, operations staff immediately contact the driver to ensure that the over speed is addressed. The next step could be that the over speeding driver can be counselled by the relevant superior within the business and repeat offences could result in the driver undergoing additional training or dismissal should the incidents continue to occur. Over speeds, counselling and additional training sessions are documented by the operations manager to demonstrate that all reasonable steps have been taken to ensure compliance. Businesses should also periodically review the settings on all of the fleet’s speed limiters to ensure that they comply. The results of these reviews and any corrective action taken is documented, again to demonstrate that all reasonable steps were taken to ensure compliance. What should you be doing to ensure speed compliance? Speed compliance is often the target of investigations and prosecutions because it isn’t particularly difficult to prove – either the vehicle was travelling above the speed limit or not. what arrangements do you have with your customers in relation to scheduling of pick-up and/or delivery? what facilities do your customers have if our driver needs to rest while the vehicle is being loaded/unloaded? how much training and support do you provide to drivers (and to schedulers, packers, loaders and supervisors) about, specifically, speeding compliance and, more broadly, about safe and compliant heavy vehicle operations? have you considered the need for speed monitoring and what technology is available for this purpose? what do you do when we detect non-compliance? How are we managing our drivers if speeding is detected? how do you know the speed limiter has not been tampered with? How do you respond if there are incidents of speed limiter tampering? what form of record keeping do we maintain in respect of each of these factors? Do we retain those records for at least three years? Who has responsibility for the ongoing review of our practices and the measures we use to ensure speeding compliance? How do we establish that we responded appropriately and effectively to gaps in our compliance systems? There have been various prosecutions over the last couple years which serve as a reminder of the duty on employers or operators of heavy vehicles to ensure speeding offences are not committed by the drivers engaged by a company. For example, in the case of RMS v Dranmore Pty Ltd and Ors  NSWLC 22, the RMS commenced prosecutions against companies and directors in the Fred’s Interstate Transport Group relating to speeding offences alleged to have been committed in 2011. There were 153 charges laid against companies in the Group and 56 against various directors. In this case, the Defendants were successful in defeating the charges, largely due to their ability to make out the ‘all reasonable steps’ defence. The Defendants were able to show that they took sufficient steps to ensure compliance and responded appropriately to incidents of speeding and evidence of tampering with speed limiters. The Magistrate ultimately concluded that the measures adopted by the Defendants, when considered alone, might have been insufficient to make out the reasonable steps defence. But, when viewed collectively, demonstrated on the balance of probabilities a sufficiency and reasonableness in the steps, precautions and due diligence taken and exercised to prevent the commission of actual offences and conduct. The crux of the decision was that the Court looks favourably on genuine steps that are taken to ensure compliance, not just superficial attempts to appear to be doing the right thing. Multi-faceted training programs, induction processes, manuals, newsletters, trip plans, work diaries, job-safety analyses, ECM and speed limiter checks, verbal communications, written warnings, dismissals, reactive and proactive maintenance measures and the actioning of complaints are all ways in which speed compliance can be managed and minimises the risk of speed breaches. An example of ‘what not to do’ is found in the case of Bimson v Scott’s Transport Industries Pty Ltd; Bimson v Scott; Bimson v Anderson, where fines were imposed on the company, director and general manager. The Court in this case observed that the company’s policies and procedures governing speed management were inadequate to prevent drivers exceeding the speed limit. There were faults found with the Driver Induction and Training Handbook - the manual was unlikely to be read, understood or acted upon by a driver, due to its sheer volume of material, lack of emphasis and its inappropriate style. The Court was particularly critical of the company’s failure to act in response to a string of speeding offences which had been brought to its attention (and which is why the director only received infringement notices for 15 of the 165 alleged incidents of speeding). if you’re in the wrong, don’t wait to enter a guilty plea – In each of these prosecutions, guilty pleas were entered approximately 12 months after the prosecution commenced. Had the pleas been entered at an earlier stage, a more lenient sentence would likely have been imposed. With the new laws now in effect, it is crucial that businesses get speed compliance right, with penalties being increased to maximums of $3,000,000 for corporations and $300,000 and/or five years imprisonment for individuals.